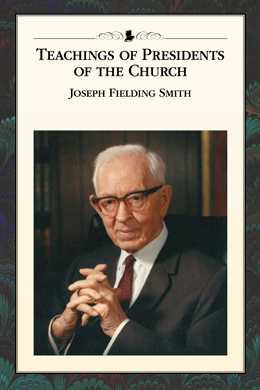 This section, “The Life and Ministry of Joseph Fielding Smith,” isn’t technically a lesson, but I think it provides helpful background and can prepare the class for the upcoming year of lessons and may be taught as a first Sunday lesson by the Relief Society presidency. The Historical Summary of President Smith’s life can be found here and is also helpful in giving us some background of his life. President Smith’s mother, Julina Lambson Smith, was the second wife of Joseph Fielding Smith. She worked to support her children as a midwife. She delivered nearly 1000 babies in her career without ever having a mother or infant die in childbirth (http://en.wikipedia.org/wiki/Joseph_Fielding_Smith). Not only was President Smith the son of Joseph F. Smith and grandson of Hyrum Smith, but his great-aunt was Bathsheba Smith, fourth General Relief Society President. President Smith’s first wife, Louie Shurtliff Smith, was an accomplished pianist and graduated from an university before marrying President Smith. According to the manual, they delayed marriage because they weren’t sure when or if President Smith would be called on a mission (side note: If your dad is a counselor in the First Presidency, couldn’t you just ask him? 😉 ). Later, he was called on a mission and Louie worked to help fund his mission. President Smith’s second wife, Ethel Reynolds Smith, met him at the Church Historian office. Newly widowed, President Smith invited her to a picnic with his two young daughters. They all had a good time, and ten days later they were married. As an elder, President Smith often traveled leaving Ethel and their young children. In this chapter, I appreciate that the writers included a candid description of her depression and a lengthy illness. Jessie Evans Smith was President Smith’s third and final wife. Younger than him by twenty-six years and an accomplished soloist in the Mormon Tabernacle Choir, she helped raise his remaining 5 children still at home (President Smith had a total of 11 children) and traveled with him frequently throughout the world. President Smith didn’t convert anyone on his mission to England. Soon after his mission, President Smith accepted a position at the Church Historian’s office and eventually served as the Historian for the Church. President Smith endured the death of all three of his wives. President Smith was called to be an apostle at a time when those who were called found out about the calling when they were sustained during General Conference. President Smith was the scribe to his father, who was then the prophet, for D&C 138, the revelation on the redemption of the dead. President Smith lost one of his sons in World War II in 1945. President Smith began his Church service when transportation was still done by horse and carriage or ships. By the time he passed away, airplanes permitted travel all over the world. Also, under his presidency, the Church had more than three million members. This chapter has plenty of stories that showed President Smith’s quick wit and sense of humor as well as his intelligence, faith, and compassion. 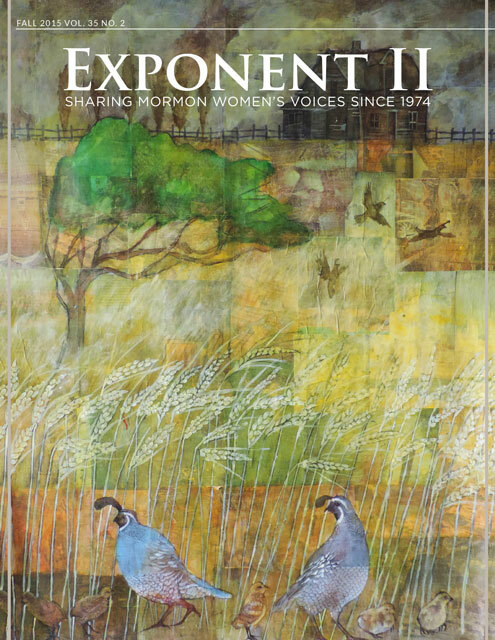 This year also marks the first time a manual has focused on a prophet that some members of the class will remember since President Smith served from 1970 to 1972. Consider asking some older class member what they remember of him to share in class. President Smith wrote a hymn for himself and his wife, Ethel, during a difficult time of separation and trials. “Does the Journey Seem Long?” (see the Mormon Tabernacle Choir’s performance of this song here) would be a nice way to close the class with one’s testimony. Actually, Presidents Kimball, McKay, Lee, etc. have had manuals and there are lots of members who will remember them. Thank you for this, Emily. It is interesting to learn more about the women who surrounded President Smith. Re: Ethel Reynolds. Not married ” ten days later” later but in November, four months after the picnic.